I spent the last year counting down the seconds until I could come back to Camp Pine Haven and see my BFF Nicole. Every summer we have together at camp is better than the last! Well, except this year. I don't know what's up with Nic, but suddenly I can't say anything right. I thought she'd be happy for me that things at home have gotten better, but it almost seems like she's mad that my life is going so well. Am I losing my best friend? 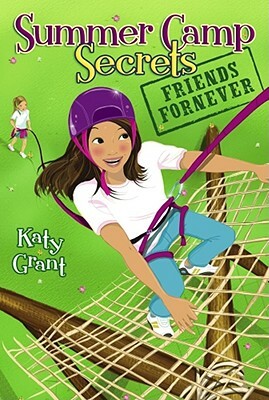 Katy Grant was born and grew up in Tennessee, and spent five summers at a girls' camp in North Carolina, first as a camper and then as a counselor. She now lives in the Phoenix metropolitan area with her husband and sons, where she teaches college and university classes in writing and children's literature.